All survival kits should include a whistle to signal for help. A whistle can be heard farther away than a human voice, and besides it doesn’t take long to holler yourself hoarse if you are trying to shout for help. To signal for help with a whistle blow three loud, and distinctly separate blasts on the whistle, pause for ten seconds and repeat, pause another ten seconds and repeat. If someone is in the vicinity they will hear the first series of three sounds but probably won’t be able to establish where they came from. The next two series of sounds will allow rescuers to zero in on your location. Perform this nine blast series every ten minutes as it will take rescuers this long to cover ½ mile on foot. That is if they are making good time. But let’s be honest. How many times do you go out hiking, or hunting or fishing and don’t carry a whistle with you. Probably a lot. 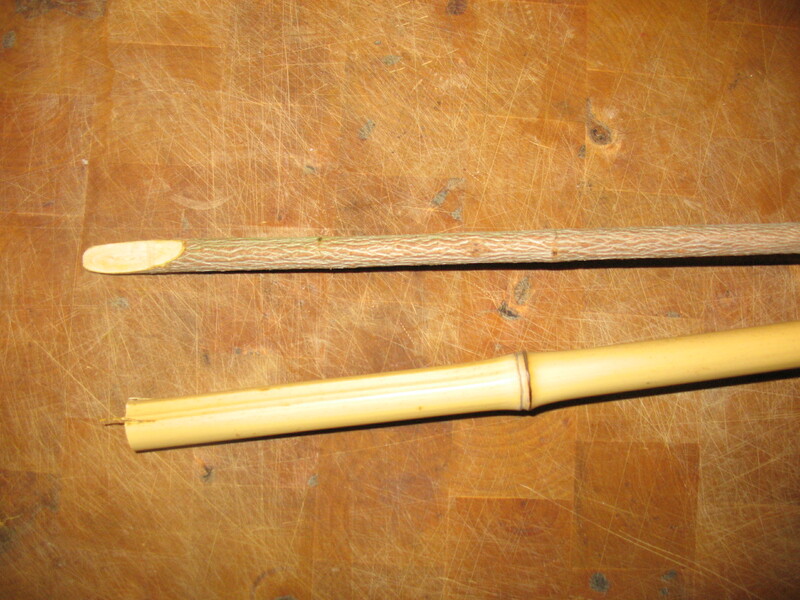 So what I’m going to show you here is how to make a signal whistle out of bamboo. No way is it as loud or effective as a 120 decibel survival whistle, but it sure beats hollering yourself hoarse and then having a rescuer pass 200 yards away and never know that you are there. 1. Start off with a piece of bamboo or river cane that is about as big around as your little finger and a stick of any kind of wood. The stick should be of a size that will slip tightly into the hole of you cane. 2. 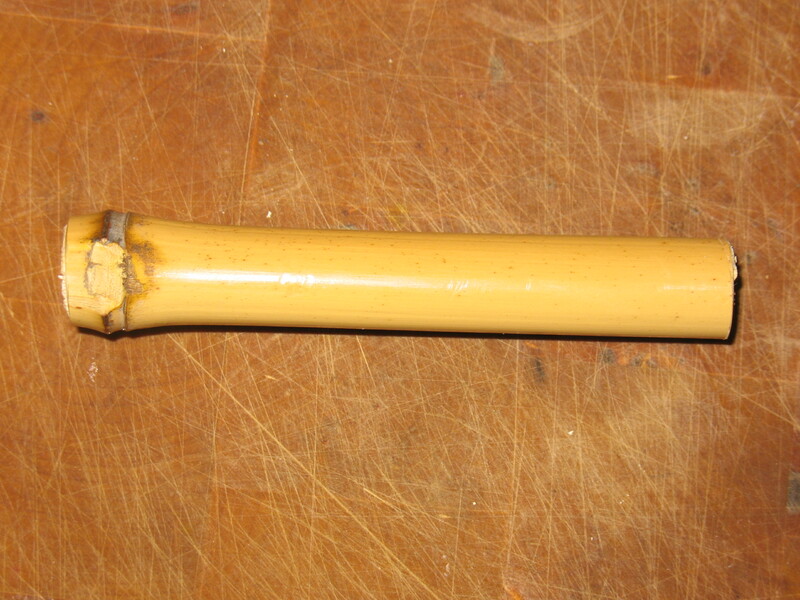 Cut a section of the cane that is about three inches long. Leave a solid joint on one end and the other end should be open. 3. 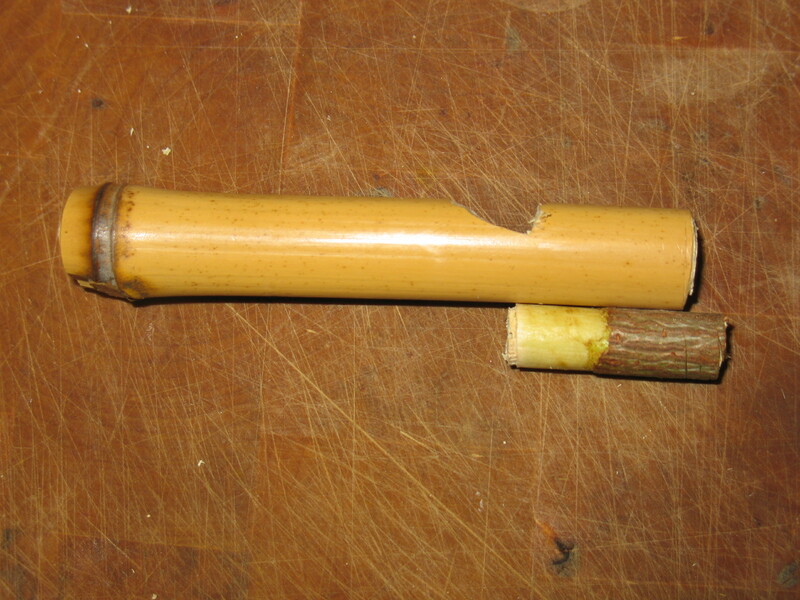 Now cut a small stick that will fit tightly into the open hole in the cane. This is a little tricky. 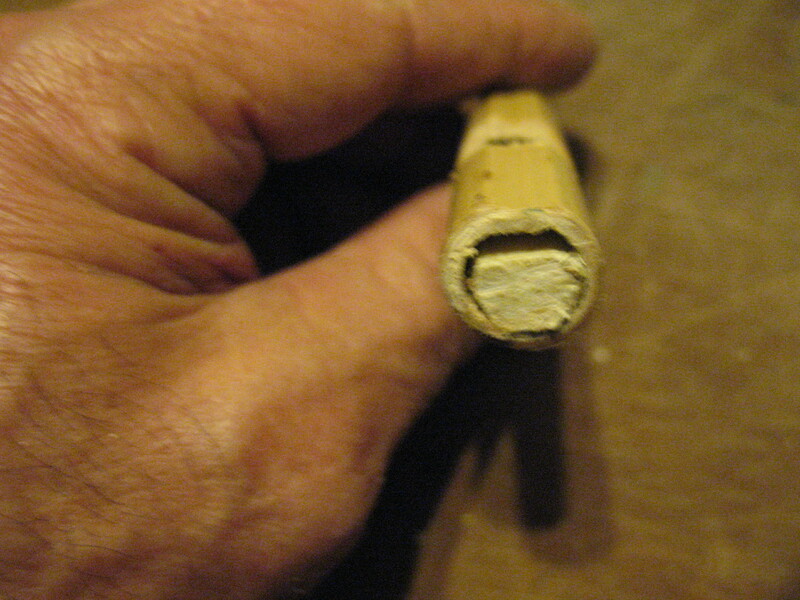 The stick needs to fit tightly, but no so tightly that it will split the cane when you push it into the hole. You can leave the bark on the stick. It only needs to be about six inches long because you are really only going to use about an inch of it. 4. Now you are going to carve a notch in the cane. 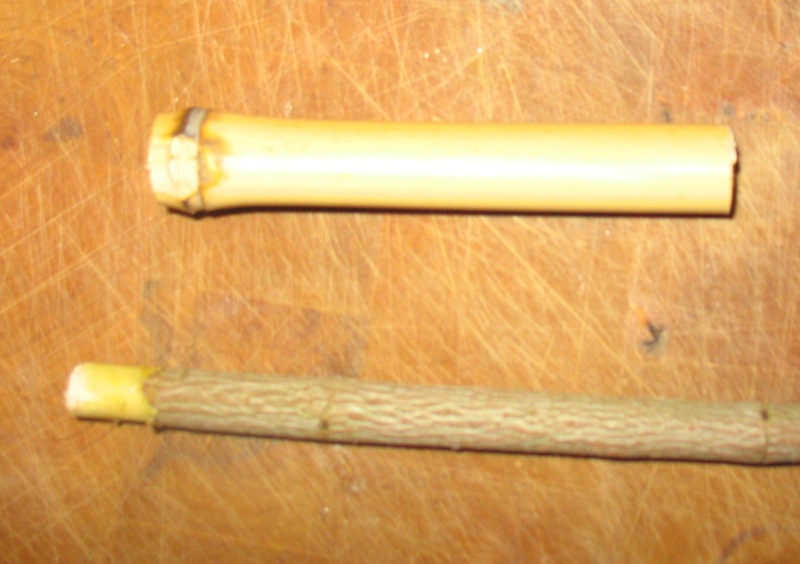 Start the notch by making a vertical cut into the cane about ¾ inch from the open end of the cane. Cut down about half way through the cane. Now working from the closed end of the cane, carve back at an angle to the bottom of the vertical cut. 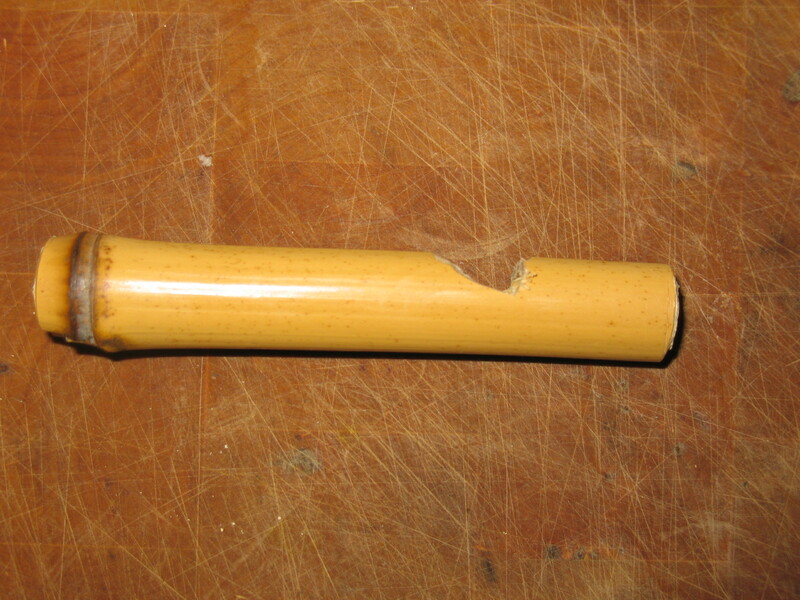 You should end up with about a ½ to ¾ inch hole into the inside of the cane. 5. 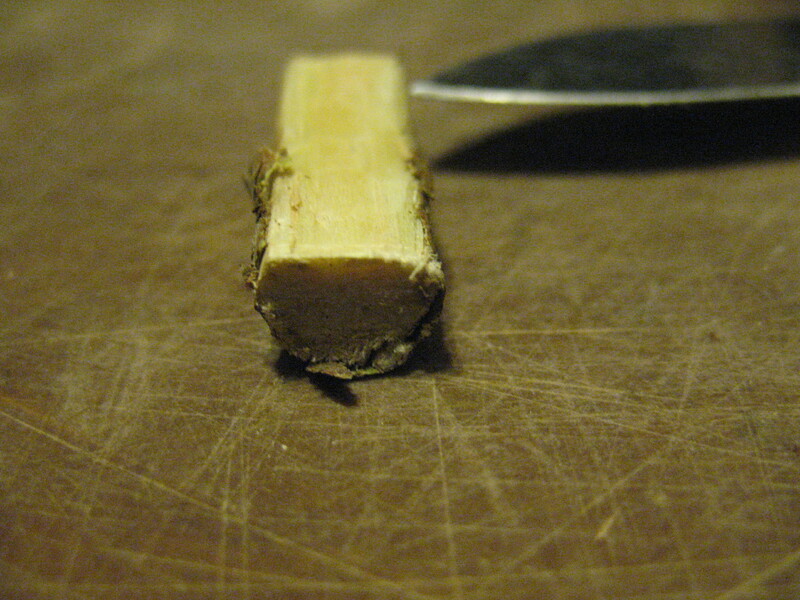 Cut about an inch long piece of your stick and split off about a third of one side of the stick. 6. Insert the stick into the open end of the cane and push it in flush with the end. The flat side of the stick should be facing up toward the notch. You should be able to look down into the notch and see about 1/8 inch of the stick intruding into the notch. That’s it. Blow into the end of the whistle that you shoved the stick into. It should make a nice loud tone. By making the cane different lengths you can very the pitch of the whistle. The shorter the cane the higher the pitch will be. I, for one, was kind of surprised at how well the cane whistle performed. I really expected the survival whistle to do the best. Next time I have a class we will try the same experiment in 100 meter increments. Hmmm. 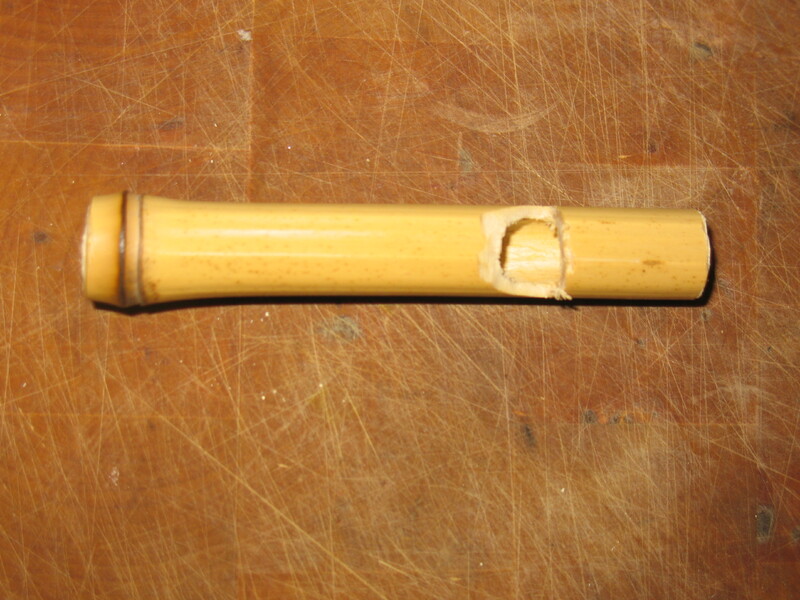 I would think that the bamboo whistle will simply need to have the same loudness and frequency in order to work just as well as the commercial one – unless it is moist or wet. And you will probably use a different frequency in the forrest than on the sea or in a dessert – given how different frequencies get blocked or reflected by the terrain. Hank, I made a few of these after reading the post and I can say that they do really work. It took a few tries to get everything to behave properly, but after that I was able to make two or three really neat whistles. 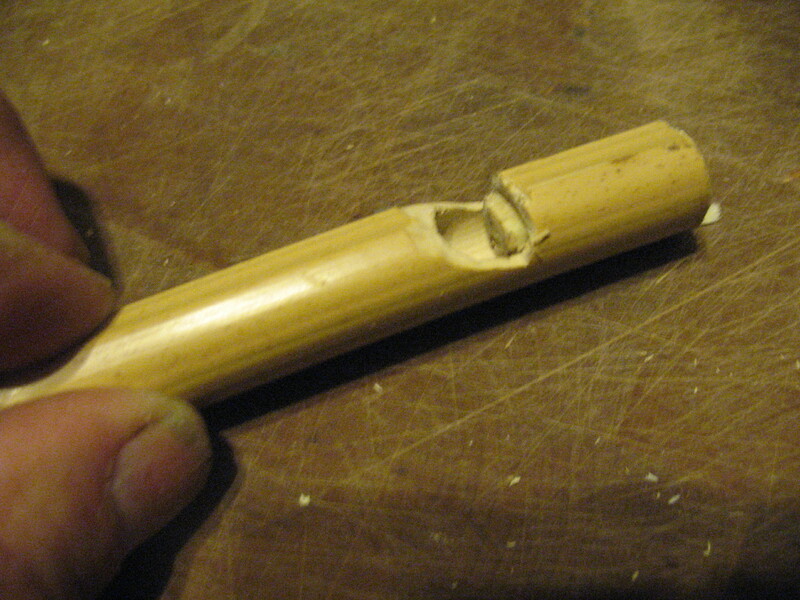 I have found that making the bamboo body longer will lower the tone of the whistle. I made one almost fifteen inches long, and it was so low and loud that it was audible for about a mile in muddy, hilly conditions.